Depués de los terrorificos acontecimientos que tuvieron lugar en la Universidad Windsor, Ohio, Sidney vive alejada del mundo en una pequeña casa en las montañas, intentando olvidar el pasado. Una misteriosa llamada le informa de los asesinatos que están ocurriendo alrededor del set de rodaje de Stab 3, la tercera parte de la película que narra los hechos de los que ella fue protagonista. Sidney decide acudir al rodaje, donde se encontrará de nuevo con Gale y Dewey. Los tres intentarán acabar de una vez por todas con el asesino enmascarado. After the horrific events that took place at Windsor University, Ohio, Sidney removed from the world lives in a small house in the mountains, trying to forget the past. A misterious call informing her about the murders that are occurring around the film set of Stab 3, the third of the film that recounts the events of which she starred. Sidney decides to go to the shooting, where she will meet again with Gale and Dewey. The three try to put an end once and for all the masked murderer. Intérpretes/Cast: David Arquette, Neve Campbell, Courteney Cox Arquette, Jamie Kennedy, Liev Schreiber, Patrick Dempsey, Richmond Arquette, Roger Jackson, Kelly Rutherford, Lynn McRee, Nancy O´Donnell, Scott Foley, Roger Corman, Lance Henriksen, Jenny McCarthy, Matt Keeslar, Deon Richmond, Josh Pais, Parker Posey, Patrick Warburton, Emily Mortimer, Heather Matarazzo, Lisa Beach, Wes Craven, Lawrence Hecht, Kevin Smith, Jason Mewes, C.W Morgan. Carrie Fisher. Producida por/Produced by:Daniel K. Arredondo, Stuart M. Besser, Dixie J. Capp, Cary Granat, Cathy Konrad, Marianne Maddalena, Nicholas Mastandrea, Julie Plec, Andrew Rona, Bob Weinstein, Harvey Weinstein, Kevin Williamson. ...there's much that's grisly, but "Scream 3" is also genuinely scary and also highly amusing...a cinematic tour de force...Ehren Kruger has come with a persuasive back story to explain away what triggered the carnage of all three movies. 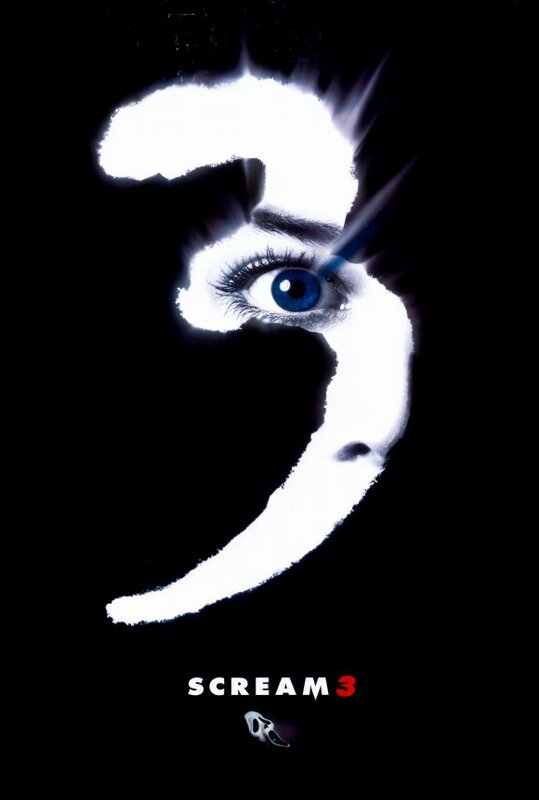 Marco Beltrami's high-energy score and Peter Deming's superior camera work add to "Scream 3's" vitality and punch...Let's seriously hope that Dimension Films now quits while it's ahead--way ahead. "Scream 3" is undeniably well-done, thanks to director Wes Craven's masterful sense of the horror/comedy combination...The revelation of the killer is, as always, a genuine surprise..."Scream 3" is a success, proving that it actually is possible to make two good sequels to a good horror movie. And that's where the "Scream" series--which was created to mock the crappy, sequel-spawning slasher genre--really has the last laugh. It's succeeded in not just satirizing teen horror films, but in actually beating them at their own game. Third cut is the deepest: An intricate plot, plenty of wit make 'Scream 3' a scream...where storytelling ends and life begins becomes even more mind-warpingly blurred...The plot is breathlessly inventive and hip. The best and most lucrative horror-movie franchise of the last decade is coming to its funny, bloody, undeniably quirky end...packaged with loads of hip, self-referencing humor and undeniable style. We’ll miss you, Sidney; you were always a cut above the competition. ...we finally got ourselves a really good movie in the year 2000...a solid storyline, bloodstained action, a great cast, slick dialogue, an unpredictable ending and cameos all around...The end of this trilogy is a solid hit on all counts with plenty of suspense, intrigue, bloody murders, and cool in-jokes to satisfy any SCREAM fan who had been patiently tolerating all of the lame-brain wannabees over the past few years...they ended the trilogy on a real high note with this winner. "Scream 3" keeps true to the series' tradition of playing like a mystery as the plot twists and turns...Craven hasn't lost his horror film touch...his slasher smarts with Kruger's fun and smart script put a nice finish on a scary franchise. Scream 3 is witty and intelligent and still tilts the gore-o-meter...one of the better second sequels of any genre, not just horror films...SCREAM unfortunately inspired many forgettable knockoffs throughout the later portion of the 1990s. ...still miles ahead of the I-Still-Know-the-Urban-Legend-About-What-Disturbing Behavior-the-Faculty-Was-Teaching-Mrs.-Tingle-Last-Summer pack of imitators...an enjoyable parade of gory slayings and amusing pop-culture jabs. ...delivers a number of good laughs along with some genuinely creepy moments...Throughout the film, Craven uses lights and darks masterfully, and his positioning of music to heighten tension is far more effective than in most films of the genre. Normally, as a critic, we are exempt from the cost of seeing a movie...After Dimension cancelled the screener of Scream 3 I had to pay. This is one movie that I did not waste my money on...Scream 3 is undeniably fun. ...the Scream films are fun because of the little jokes along the way...there is certainly no lack of realism here, as we see our killer hunt down and viciously slice up. ...genuine fright...Scream 3 offers enough red herrings to gag Hitchcock...it's a pretty effective ending. Wraps up the trilogy in satisfying fashion. Craven takes obvious pleasure in skewering the hand that's alternately fed and censored him all these years...the plot takes us folding back in time to re-evaluate Scream's central mystery. ...the film is funny and brisk...Parker Posey glows...Campbell shows real ability--when her eyes go dark with concern and fear, she is nerve-racked and tormented, not play-acting. Scream 3 is easily as much fun as parts one and two, and just as suspenseful...compare Scream 3 to any of the recent teen-horror offerings — I Know What You Did Last Summer, Teaching Mrs. Tingle, The Rage: Carrie 2, Idle Hands — and it's a masterpiece of the genre. Holds up the honor of the franchise nicely... I enjoyed every moment of this densely plotted final chapter...The final installment of Wes Craven's trilogy may be too wrapped up in its own cleverness, but it's still a fond farewell. The funniest of the trilogy. Craven and new writer Ehren Kruger toss everything and the blood-soaked kitchen sink into the mix. Fans of the first two blockbuster hits won't be disappointed. "Scream 3" fulfills its modest ambitions by delivering a glib slasher spoof for the mall crowd. The third time's a charm. 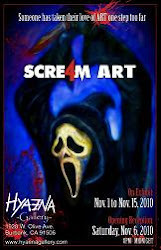 Scream 3 is nearly on par with the first...Oh, please, Kevin, reconsider and give us a Scream 4! Over two more years have passed, but the final film in the financially and creatively successful trilogy, Scream 3, has arrived, and to say it was well worth the wait would be an understatement...Scream 3 is a groundbreaking motion picture itself--a second sequel that has somehow accomplished the daunting task of being every bit as fresh and thoroughly gratifying as the now-classic film that started it all...skillfully comes around full circle...One of the elements that is so ingenious in "Scream 3," however, is in its movie-within-a-movie approach..."Scream 3" is that rare case in which it is not merely here to cash in on the big bucks, but was all along planned as a trilogy..."Scream 3" does a fabulous job of wrapping things up and filling in the missing pieces...while delivering scares, snappy dialogue, believable characters..."Scream 3," like its 1996 precursor, is a multi-layered funhouse of chills that does a more-than-sufficient job of keeping the surprising twists coming...Campbell is able to surpass her performances in both of the other pictures...Neve has done nothing but develop into an even more talented actress with clear star qualities within the last three-and-a-half years...What cannot be denied is that Craven is a master at setting up absorbing horror set-pieces, and no matter what, is constantly adding a stylish flare to the proceedings...With the wholeheartedly satisfying conclusion of "Scream 3," perhaps the most widely popular horror movie series of all time has come to a close. The way each of the surviving characters' lives receive closure is an excellent touch, and the final few shots are filled with subtle, yet remarkable power. Who would have guessed that the ending of a film called "Scream 3" could be so poignant? Certainly not I, but it is. Now how's that for an unexpected twist?